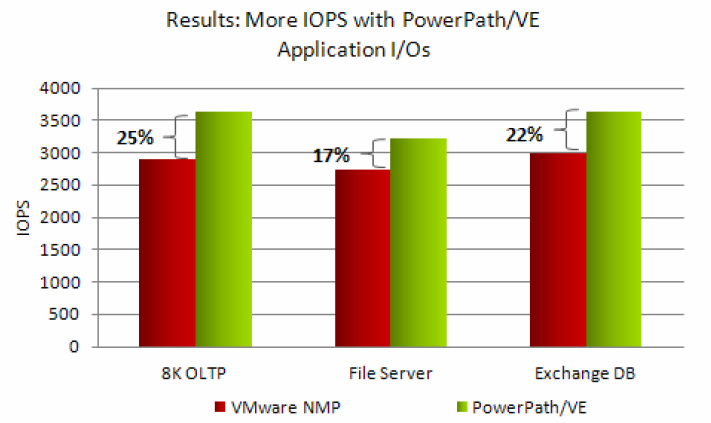 This ESG Lab report documents the hands-on testing of EMC PowerPath/VE for VMware virtual environments and validates the business and performance benefits of PowerPath/VE load balancing and path management when compared with VMware native path management. The report focuses on the performance, ease of management, and failover and recovery capabilities of PowerPath/VE. Because PowerPath/VE resides in the hypervisor (below applications/guest operating systems and above the HBAs and storage), it can support heterogeneous servers, guest operating systems, networks, and storage environments. PowerPath/VE for vSphere is integrated with VMware vCenter Server and Update Manager as well as vSphere auto-deploy and stateless licensing capabilities, and operates effectively with any raw storage devices, volume managers, file systems, and applications. EMC PowerPath/VE is available standalone and as a key component in VCE Vblock Infrastructure Platforms: preconfigured virtualization solutions combining best-of-breed technologies from VMware, Cisco, and EMC. Vblock Infrastructure Platforms make it easier for organizations of all sizes to implement cloud strategies. Automated failover and recovery. PowerPath/VE automates data path failover and recovery to eliminate business interruption from failures or errors, without manual mapping. If a path error occurs, data is redirected to the next best path and the load is rebalanced across all paths (see Figure 2). When the failure is resolved, that path is returned to the available pool. Intelligent, dynamic testing of inactive paths enables faults to be preemptively discovered and paths automatically removed from service; upon resolution of the fault condition, the failed path is automatically returned to the pool without disrupting operations or requiring manual intervention.